MAKE IT MADE IT 2019! Color fonts - where font letters can have multiple colors, shapes and texture - are still fairly new. Even though they’ve been around since 2016 I still meet typographers who have yet to really experiment with them or have even heard about them at all. It’s been interesting to see how they are being used by creatives whether scrolling through marketplaces like CreativeMarket or seeing how they’re being used in new mobile apps. 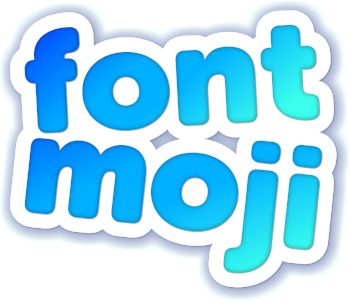 The first mobile app I've seen to adopt color fonts - outside of Adobe, who helped to create color fonts - is Fontmoji. 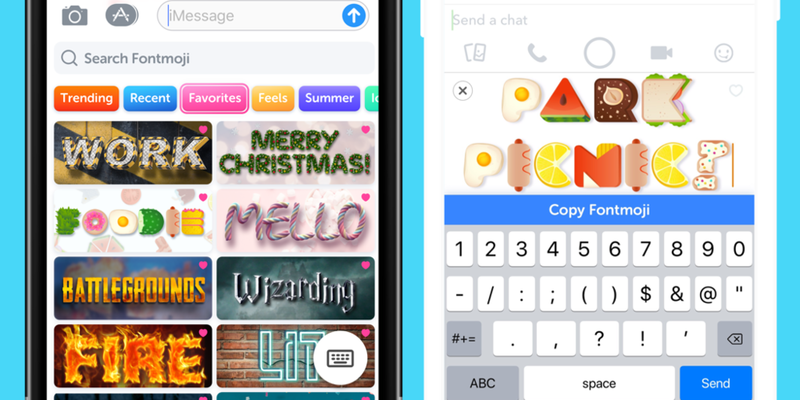 Fontmoji is using color fonts to allow people send expressive messages or 'fontmojis'. Their iOS keyboard converts messages from iMessage’s default Helvetica Neue font to over 80 available fonts. These color fonts have letters shaped out of birthday cake, balloons, fire, water, chocolate, and pencils, to name a few. Some of these fonts use the older Truetype font format, but most of their available fonts are color fonts, using the Opentype SVG format. Interestingly, they've recognized that color fonts allow fans to engage with their favorite brands. Previous font formats didn’t allow brand logos with complex texture or multiple colors to be rendered into a font - any complex texture or multiple colors would be lost. Now smash hit tv shows like Game of Thrones and Stranger Things to video games like PUBG & Fortnite can be rendered as completely identical fonts. It’s interesting to see how this new color font technology is already evolving our modern day communication. I’m excited to see in what other ways it will be adopted! This article was supplied by Will Brooke, Fontmoji’s founder. Newer:BESPOKE CATALOGUE 3 from Colophon FoundryOlder:MAKE IT MADE IT 2019!